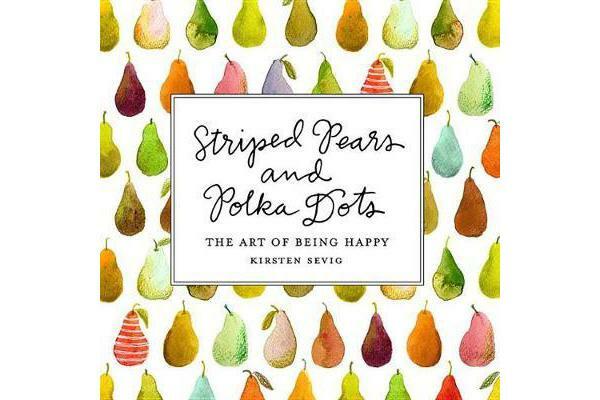 Kirsten Sevig’s Instagram fans-100,000 strong and counting-have been clamouring for a book of her art. She paints rainbow-coloured rooftops, striped pears, birds in hats, teacups, cats and more-all drawn to bring joy to anyone who views them. When the weather is rainy and gray, Sevig paints herself some sunshine. When she feels sad, she paints something colourful to cheer herself up; when anxious, something soothing and repetitive; when overwhelmed, she makes a series of small decisions about what to put on the page and begins to feel empowered. In Striped Pears and Polka Dots, Sevig invites readers into her cosy, sunny world of snail mail, patterned socks and knitted sweaters, ice cream and flaky croissants, and dachshunds in sweaters. This perfect gift book will inspire readers to look around and notice all the little happy-makers that surround them in their daily lives.